I'm ever so excited that it's officially fall. By that I mean the calendar says that it's fall but California doesn't really believe it quite yet. The day will come when there's a chill in the air. Some of you are fellow Southern Californians & understand that this is all part of the journey. Some of you are from elsewhere & already have rain, cold mornings & brisk nights, fallen leaves, & everything that makes autumn what it is. 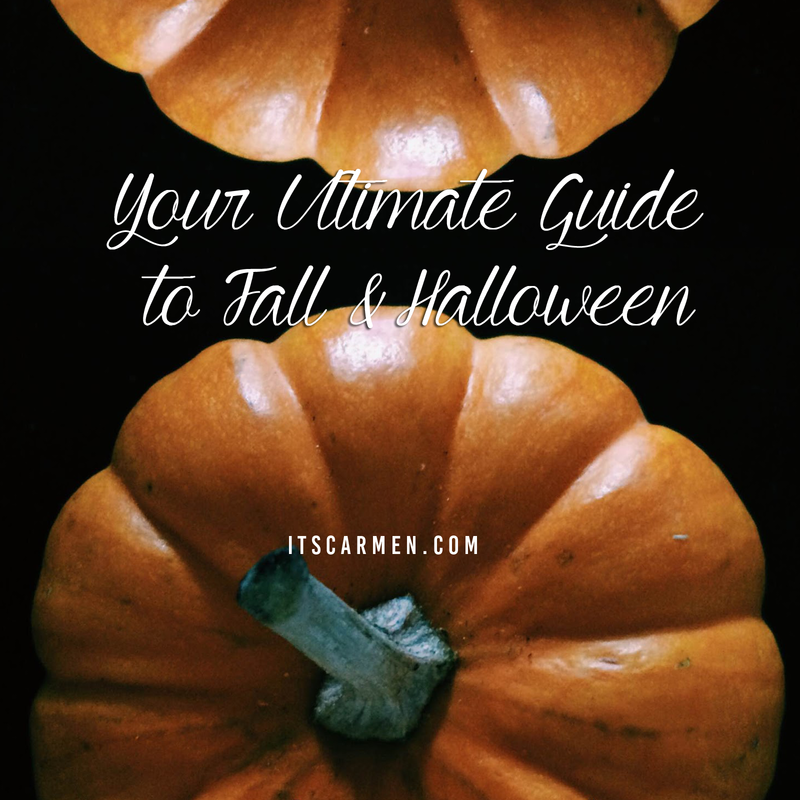 Regardless of what you have going on in your life or how fall is fairing in your neck of the woods, I've got your ultimate guide to get you super excited & pumped for fall & Halloween. First things first, you have to get pumped about autumn. 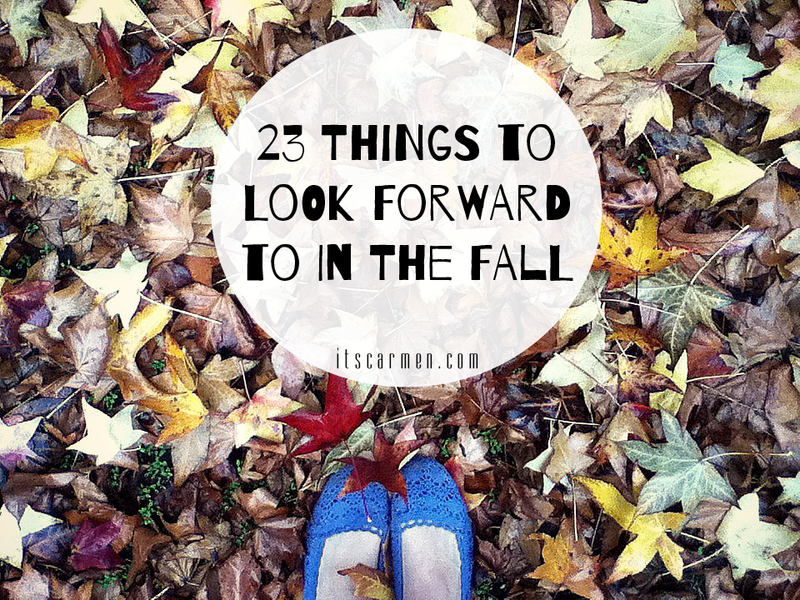 There's no better way to do that than to take a look at 23 Things to Look Forward to in the Fall. From apple cider to Hocus Pocus to everything pumpkin flavored, autumn is a joyous time of year. 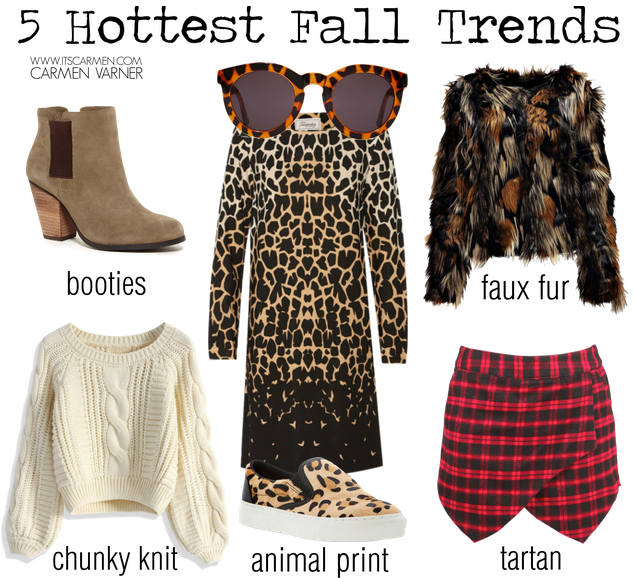 For those of us who want to stay stylish throughout the season, you may want to check out the hottest fall trends. Remember how big chunky knit wear & tartan was last year? I think it's safe to say they're always in style especially during the colder seasons. One of the best things about being a San Diegan is that it never truly gets too frigid around here so I was wondering how to wear a crop top in the fall. 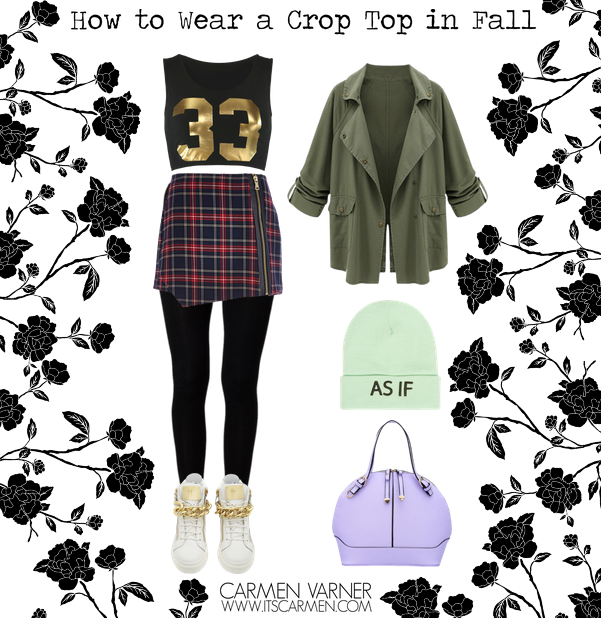 No matter where you're from or how cold it gets, if you layer wisely you can totally rock a crop top in fall. I'm not talking about the midriff bearing crop top. That's not effective to keep your warmth. Go for a subtle slightly cropped top. It's only matter time until Halloween is here. Every second of every day we get closer. The only way for me to stay sane & excited is to countdown with 20 things to do before Halloween. I have literally done 0 out of the 20 things to do, so I have to catch up before it's too late. 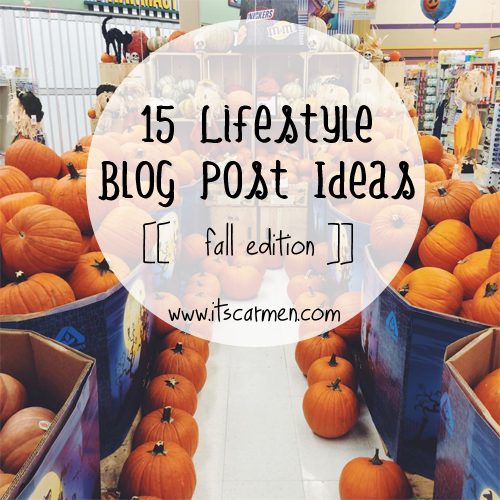 As a blogger you may be interested in these 15 fall inspired lifestyle blog post ideas geared toward autumn related content. Just tweak your usual content with something a little more seasonally applicable. These 15 ideas will get the ball rolling. If you're in dire need of a Halloween costume idea, I have four carefully curated looks. Click on each one to find out more details on how to achieve the costume & where you can find some of the products. Clueless is one of my favorite movies ever so it should come as no surprise that I created a look to emulate the icon that is Cher Horowitz. The classic 90s vibe with the well known yellow plaid ensemble makes for the ideal costume. 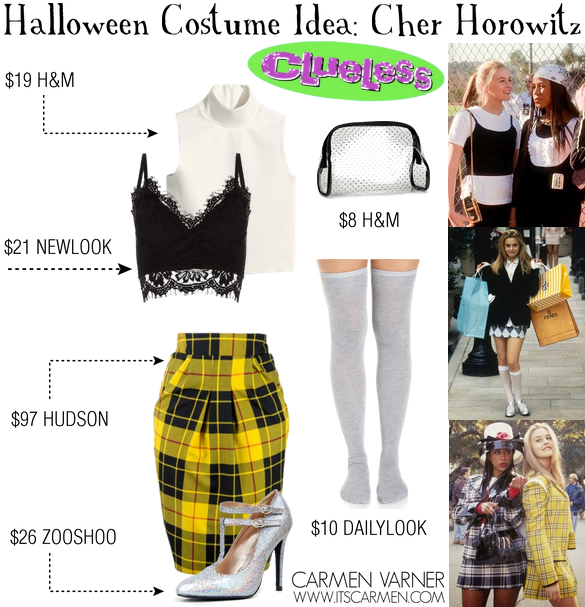 Get the look: Cher Horowitz from Clueless. There's something so spooky & satisfying about Wednesday Addams. She's unlike anybody else on earth & she really epitomizes Halloween for me. She's morbid. She's blunt. She doesn't really care about you or what you have to say. 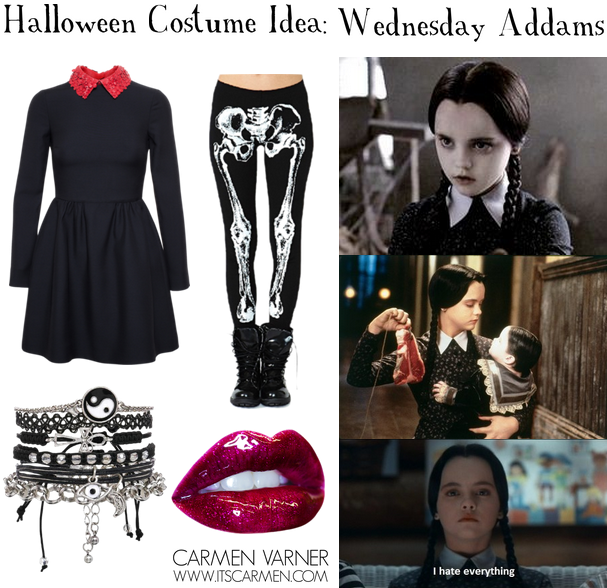 Get the look: Wednesday Addams from The Addams Family. It's safe to say the majority of us have watched Mean Girls before. If you want a little flashback to your youth, this is the perfect Halloween costume idea for you. It has that early 2000's vibe to it. It's hard to explain but it's there. You don't have to be a mean girl to dress like a mean girl. Well for Halloween at least. Get the look: The Plastics from Mean Girls. Gwen Stefani was & always will be cool. She still rocks. I got to see her perform live with No Doubt: pictures here. It was an amazing experience & all the more reason to have a Halloween costume inspired by her. 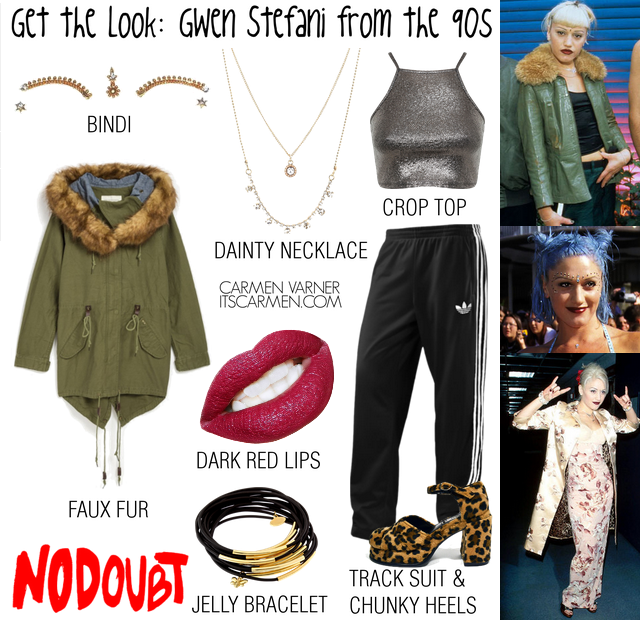 Get the Look: Gwen Stefani from the 90s. Halloween has to end at some point & there are some of us who can't let go. 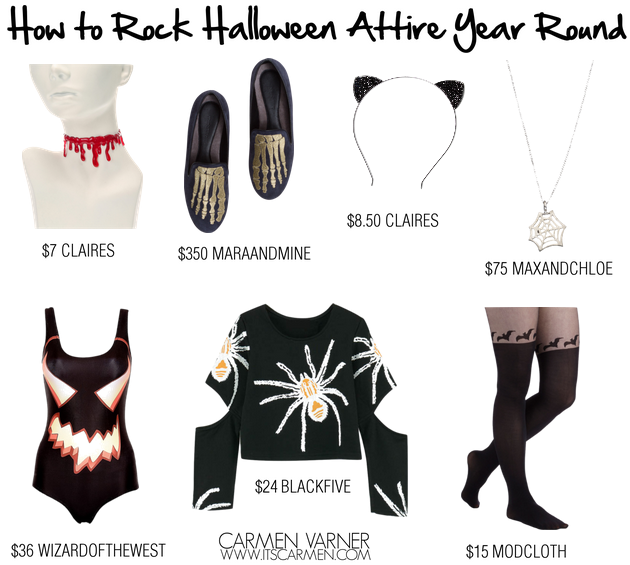 If you're one of those girls you may want to learn about how to rock Halloween attire year around. This is for the daring, the creepy, the cool. Are you down? One of my favorite parts about autumn is the seasonal foods that come back in abundance. You know exactly what I'm talking about: pumpkin. Of course we all know about pumpkin spice lattes. That's a given. 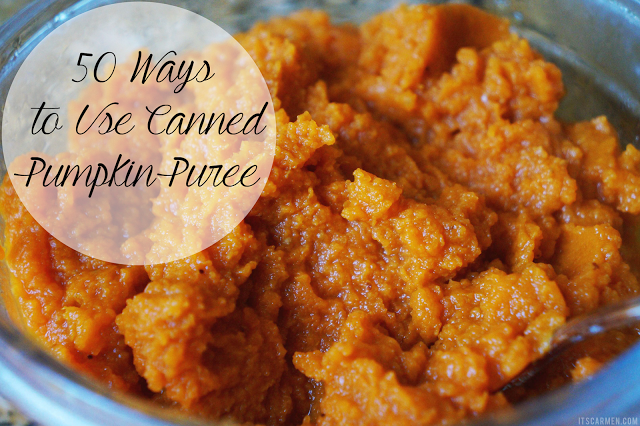 But here are 50 ways to use canned pumpkin puree other than pumpkin pie. so many inspirations that you've shared! 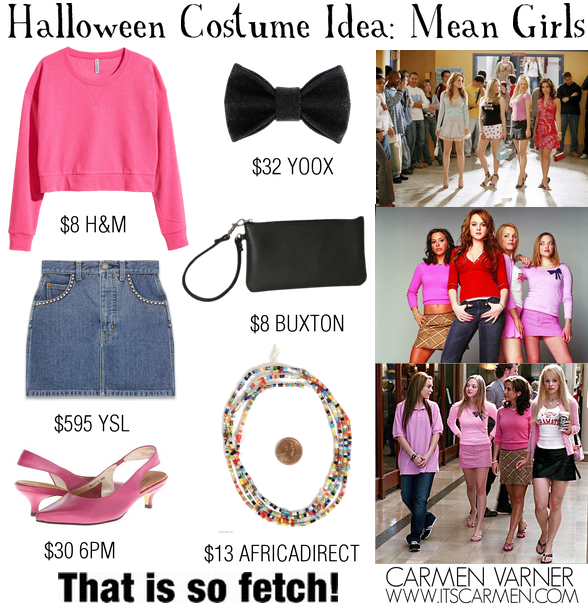 I love the Mean Girls costume :P super love the movie as it's one of my most fav chick flick. I wish we were celebrating Halloween here in Holland! It would be my favorite holiday! I love the Clueless outfit! Loving Halloween and October like I do, I LOVED this post!! I can't wait to start adding more animal prints into my wardrobe too! I love the Halloween costume ideas...October is a very fun month! Wow, Carmen, this is such a great post! I loved every part of it! Your selection of favorites and ideas were definitely inspirational, thanks so much for sharing! I hope you have a wonderful day and start to your weekend, beautiful! This is such a fun post. I just might have to steal the Cher costume idea. It's so perfect! This is such a fabulous round up! You included so many fall/October topics! Wonderful picks! And Halloween ideas!! :) Don't worry FL doesn't believe it is fall either, it still thinks it is july. Great post! When I was little, people would tell me I looked like Christina Ricci, so I should probably dress up as Wednesday Addams for Halloween! So in love with this post, Carmen! I'd love to comment on every section of the post, but it'll be come an essay, haha, but gosh, I'm LOVING everything here! Oh man, that Gwen Stefani costume idea is perfection! This post is awesome! I love the Mean Girls costume idea…hilarious! I live in SoCal too and it's a casual 100 degrees today… I can't wait til it actually feels like fall! What a fabaous post Carmen! Loved it! I adore everyone's fall post, pics, and fashion! It's so fun! Your post is so eye catching and informative. The plaid and faux fur are my favorites. Thanks for sharing. I'm so totally into fall, but dang California needs to cool it a bit, haha. Better stock up on the pumpkin puree! Did you hear there is supposed to be a shortage? I'm not sure if it's true though or just a marketing ploy. Either way, I'll get a can or two just in case. If it ever cools down, I'll make a pumpkin pie. If it doesn't cool down, I might need to change my plan to pumpkin mousse or something. Posts like this really get me in the mood for halloween but then I get bummed out because in Australia it's not really a big thing here. I feel like I need to move to America, that way my halloween excitement will be justified! 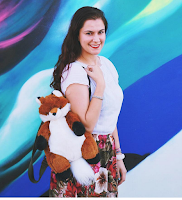 I love this collective post of October themed fashion!